Product Liability Insurance, Do You Have Enough Coverage? Will A Car Accident Affect My Auto Insurance Rates? Why Do I Need An Auto Insurance Agent. 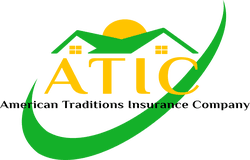 Most Inexpensive Insurance Coverage You Can Buy! Is Your Business Property Covered? Do You Have Identity Theft Coverage on Your Home Insurance Policy? What Type of Liability Coverage Do You Need For Your Business? Commercial Auto Policy, Who and What is Covered? Water Back up and Sump Overflow Coverage… Do you have it? Dog Liability Coverage on Your Homeowners, Do You Have It? Replacement Cost vs. Actual Cash Value… Which would you prefer? Should you get Golf Cart Insurance? Good Question. Going to the Beach this Summer? Play it safe. Who Likes Red Light Cameras? Flood Insurance Will The Changes Effect You? Should I buy the Insurance when I rent a car? Should you add your teenager to your automobile insurance? …Well it depends. Protect Your Home from Fires! Motorcycle Insurance… Why get it? The difference between Homeowners Replacement Cost and Actual Cash Value. Why Is Vacant Land Insurance Important? Summer is here, lets talk pool Safety! sr22 Insurance: Do You Need It? An RV Trip should not ruin your marriage or your day! What is the Best Home Insurance For You? New Discounts Available for Truck Insurance! How Do You Determine How Much Coverage You Need? Forced Place Insurance: What Does it Really Cover? How Can You Get A Discount on your Car Insurance? What Are Wind Mitigation inspection Discount? How Much Will Life Insurance Cost You? To Bundle or not to Bundle? That is the question!